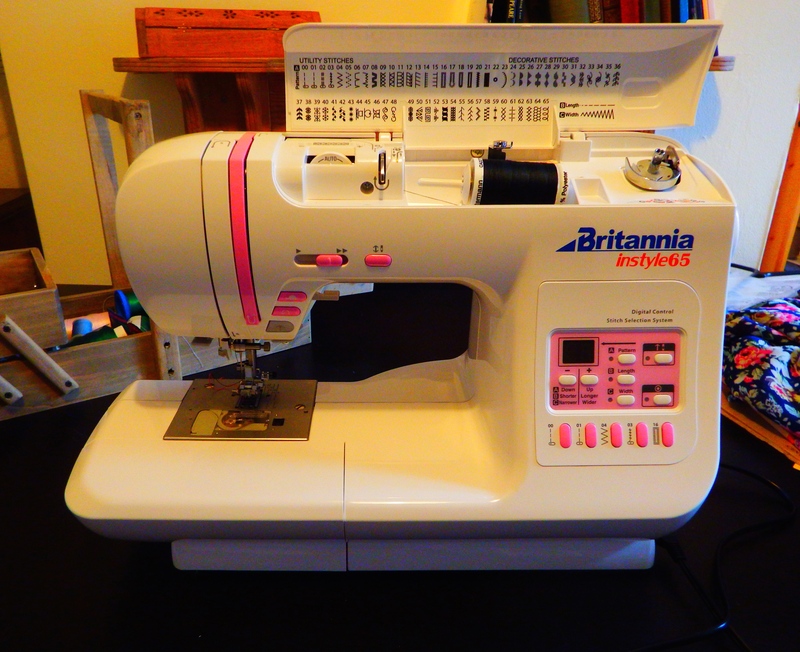 What better way to start out than a post celebrating the wonder that is my new sewing machine? My previous sewing adventures have all happened on a less-than-friendly Brother machine – literally the cheapest one I could find on Amazon. But with my recent successes and determination to conquer the sewing world, my wonderful (patient) fiancé decided that I could invest in a good upgrade. With that the lovely man swept me off to the local sewing machine dealer, for a long lesson in the sewing machine market (I now know so much – go on, test me!). I’d totally gone in with the idea that I’d come out wielding a much better Brother machine, or perhaps a Janome. But after trying the amazing Britannia Instyle 65, my mind was made up. Whoop! So here she is. My new baby, christened Constance (after my hero Constance Lytton – I will explain at a later date!). I am looking forward to this new partnership, which I think of as something like that of Gene Kelly and Donald O’Connor in Singin’ in the Rain (I am, clearly, the comic relief). See you soon, with an update on my ongoing projects! My name's Laura and I'm an amateur seamstress with a love of all things vintage! Come join me on my sewing adventures!